After living on the islands for two weeks, I came home a pescaderian. Not really but I feel so good when I eat fish. And I was craving something summery and fresh. 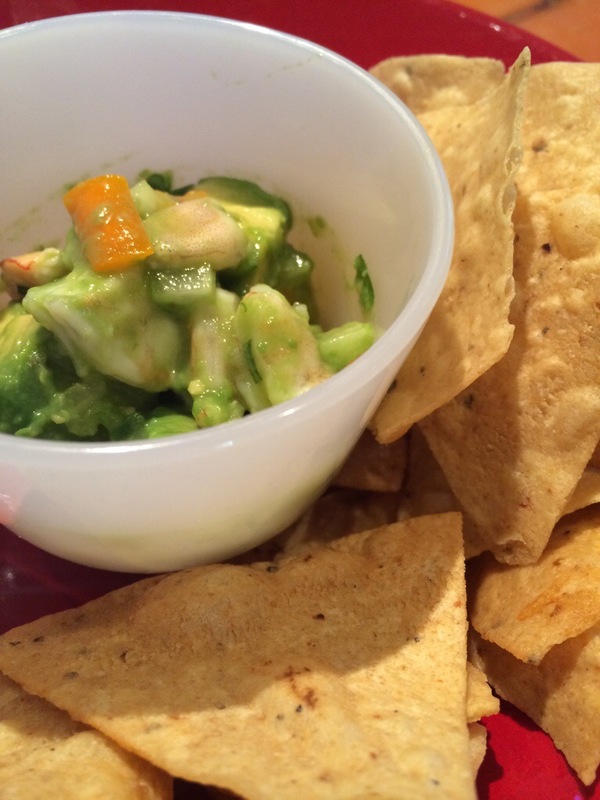 Sooo, why not try ceviche? Note: this being my first time cooking with lime and shrimp, the shrimp don’t necessarily turn pink like when you cook them in the pan. I waited and waited and waited for them to turn pink and it never happened. They were cooked after about 20 mins. But I waited like 5 hours. Ha! Put shrimp and lime juice in a non-reactive bowl (basically a glass one) and put in fridge for ~ 20 minutes. The shrimp will be firm when done. Drain lime juice and mix shrimp with other veggies. Squeeze up to a whole lime in the mixture (I only used 1/2). Add salt to taste. Serve chilled with some corn chips (Have’A Corn Chips are our absolute favorites).